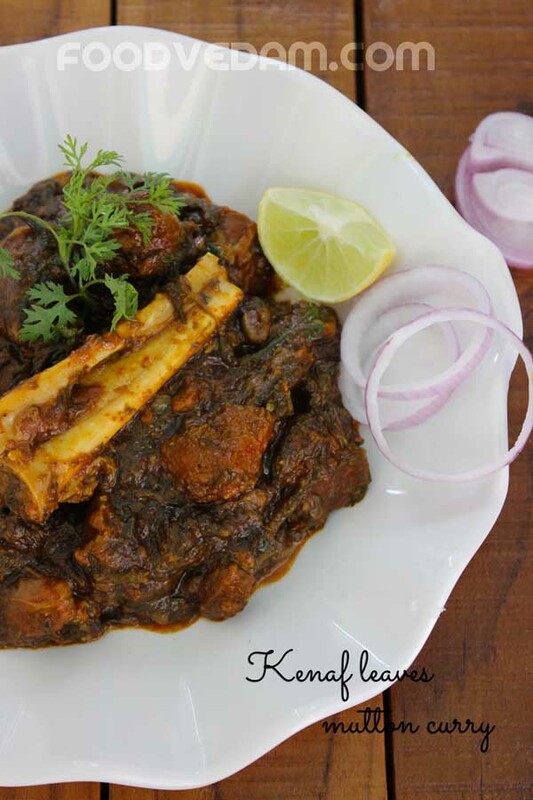 � Gongura Mutton is a popular Andhra cuisine in which mutton is cooked with Kenaf leaves. kenaf or gongura leaves are often cooked with Mutton, chicken and prawns. 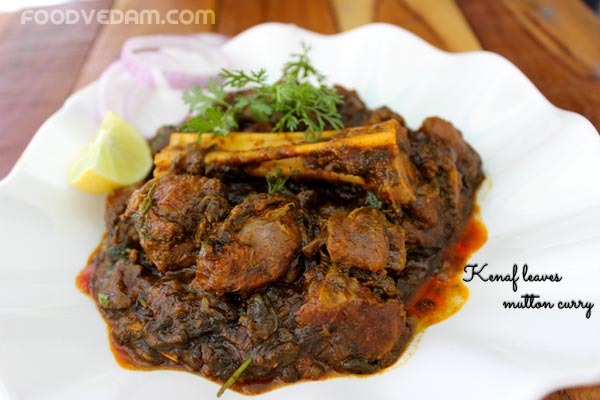 For this recipe I cooked(half-cooked) mutton first, then added kenaf or Gongura leaves to it. There is also another method in which Kenaf leaves are sauteed in oil separately,then they are made into paste,later added to completely cooked mutton and cooked for some time.I added whole spices while sautéing onions instead of adding garam masala.Goat meat is very hard,so i usually prefer to cook it in pressure cooker. I learned this recipe from my father-in-law. rinse kenaf leaves thoroughly and keep aside. wash mutton and keep aside. first marinade mutton with turmeric powder,salt,red chilli powder,coriander powder,ginger garlic paste and yogurt. soak the marinade for an hour. heat up the pressure pan,add oil. when the oil is hot add whole spices,chopped onions and green chillies. add salt and sauté till they become soft. add ginger garlic paste and fry until the raw flavor is gone. add turmeric powder,red chilli powder,coriander powder,mustard seed powder and mix it well. add mutton marinade mix it once. cover the pressure pan with any flat lid and cook for 5 minutes on medium flame. remove the lid,add water up to the level of mutton pieces. cover it up with pressure pan lid,put weight on it and cook up to 5 or 6 whistles. do not open the until all the pressure is gone. later open the lid,turn up the flame again. add kenaf leaves cook for 2 minutes on medium flame. cover it again and cook up to 3 or 4 whistles. open the lid and cook till the gravy become thick, till the oil oozes out.